Seven days of experimentation and collective creation of Videodance for research and production of visual, performative and multimedia art material. The wild nature of Casina Settarte, Ostuni, Southern Italy, open the doors of the creation. The goal of the 7 days of work is to give life to an intimate and collective geography, which consisting of dance and dance images, taking as a reference the body as a physical, emotional and energetic territory. She is graduated in Comparative Arts at the National University of Buenos Aires (UBA). Researcher in the Area – Liminal Arts Investigations of the Institute of Performing Arts (IAE) of the Faculty of Letters and Philosophy (UBA). Specialized in Social and Community VideoDance, she coordinates video and video performances, coordinates social VideoDance seminars with indigenous communities in the Province of Chaco, Argentina. Founder and co-director of the Corporalidad Expandida Project (CE), Cinematic Festival that brings together social video seminars and audiovisual productions that have the core theme of the body and movement’s language. Her work experience divides between artistic research and teaching, passing through creation, pedagogy and writing in different formats. Investigate performative creative processes. She has co-directed choreographic subjects and audiovisual design and has held numerous seminars, residencies and workshops in Argentina, Chaco, Jujuy, Gran Buenos Aires and abroad: Italy, Mexico, Spain and Germany. Dancer and filmmaker. In 2014 she realized I wish white wings, a documentary focused on the relationship between life and art, in competition at the SalinaDoc Fest 2014, Sicily, and presented at the European Film Festival 2015, Lecce. In 2016, she received (in co-working) the artistic residency of the BIDE (Barcelona International Dance Exchange) which results have been presented at GrecFestival at La Caldera in Barcelona in July 2016. In October 2017, together with Ladys Gonzalez, he realizes and conducts the Videodanza residential workshop Ojos de Mar, at the Casa Celacanto of Marina Serra, Lecce, with the support of the Barcelona International Dance Exchange. The short film produced during the residence, Bordes / Confini, was presented in competition at FICE, Festival Internacional Corporalidad Expandida in Buenos Aires 2018. 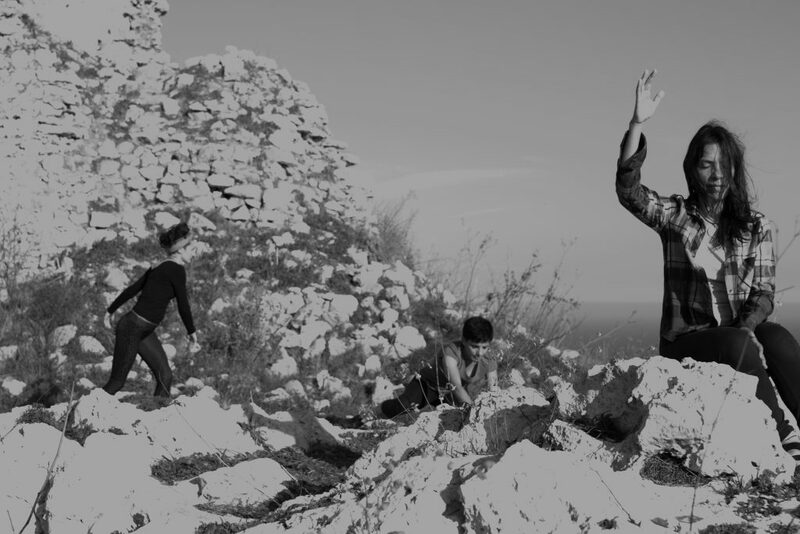 In 2018, the choreographic project Home was welcomed in residence by Cantieri Coreografici – Libero Corpo supported by the Company Menhir by Giulio De Leo, by the Garibaldi Theater of Bisceglie and by the Teatro Pubblico Pugliese. Videodance is an emerging gender aiming at investigating the movement, the body and the space from audiovisual experimentation, a language that emerges from the encounter between the body and the camera. Videodance allows new aesthetic configurations; it makes visible the cultural identity because it tells the Here and Now of the bodies. Offers the opportunity to find new postulates about dancing, choreography, identity and audiovisual equipment. The laboratory will be deployed in three theoretical-practical modules, able to provide the tools through which the participants can build their own materials. Each module will give you both audio-visual and body language knowledge, targeting, in the context of an interdisciplinary work, to a collective building and production of a Videodance. The workshop residency is realized by Flor Menudita Association of Chiara Zilli, a dance company and an open community of dancers, musicians and dreamers, and of all people who believe in the evolutionary potentialities of the human being through artistic practice. Her mission is to promote and spread around personal well-being and growth through dance, conscious movement and videodance. in the desire of gesture. The residency is realized in collaboration with Proyecto Corporalidad Expandida, Buenos Aires, which spreads and promotes body language in its different artistic expressions, taking the body as a research field in its context through the camera’s look.